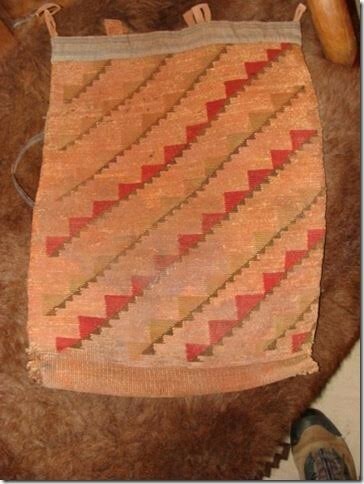 Here is a 1870 Nez Perce Hand woven Large Corn Husk Bag 21 1/2” inches X 17” inches. with added Buckskin Leather handles and traded to the Blackfeet Montana Nation. 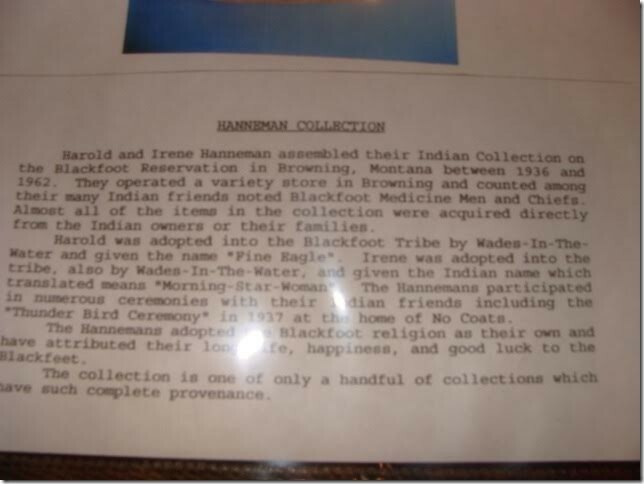 The Iron Breast Blackfeet family ran a mercantile store on Browning Indian Reservation from 1936 to 1962. Most likely this was the Shurborne Mercantile. It comes from “Iron Breast’ and his family who used it for carrying items and for storage by the Blackfeet on the Indian Reservation in Browning, Montana. 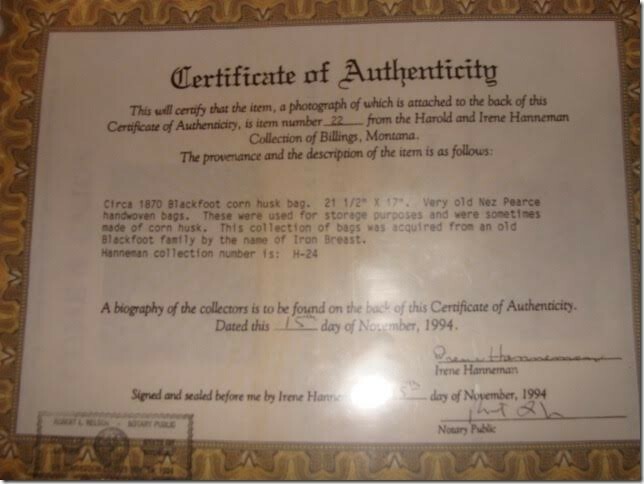 Irene & Harold Hanneman were both adopted by Chief “Wades on the Water.” See Provenance and be sure to read information and history of these two children. 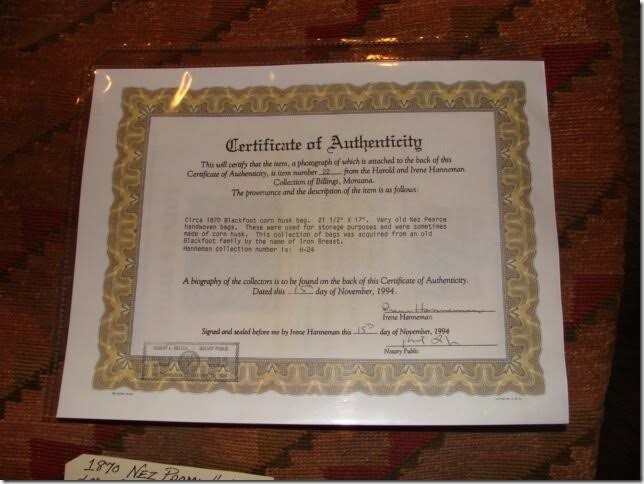 Also comes with a Certificate of Authenticity. 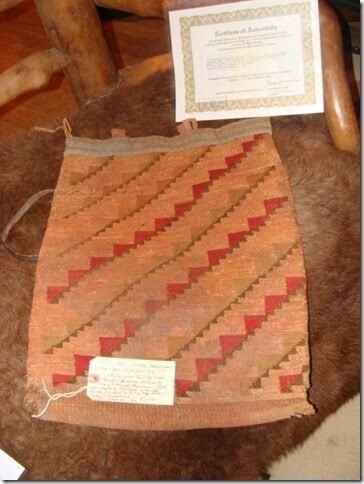 Here is a 1870 Nez Perce Hand woven Large Corn Husk Bag 21 1/2” inches X 17” inches. with added Buckskin Leather handles and traded to the Blackfeet Montana Nation. The Iron Breast Blackfeet family ran a mercantile store on Browning Indian Reservation from 1936 to 1962. Most likely this was the Shurborne Mercantile. 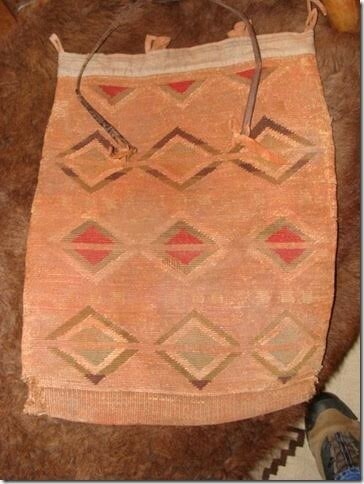 It comes from “Iron Breast’ and his family who used it for carrying items and for storage by the Blackfeet on the Indian Reservation in Browning, Montana. Irene & Harold Hanneman were both adopted by Chief “Wades on the Water.” See Provenance and be sure to read information and history of these two children. 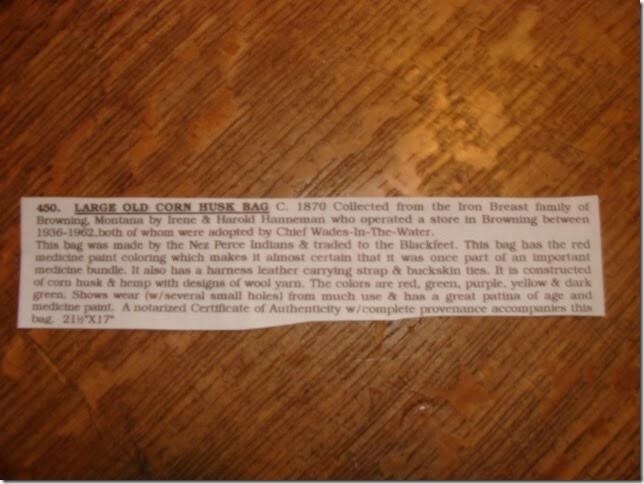 Also comes with a Certificate of Authenticity. Please email cowboycabin@centurytel.net with questions or call 406 270-2842.